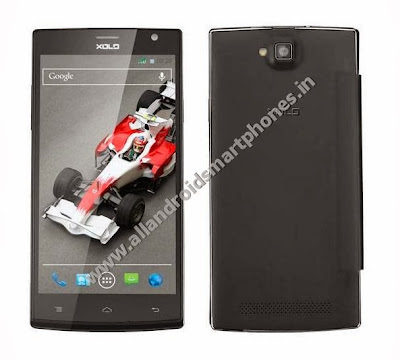 Xolo Q2000 3G Quad Core 5.5 Inch Android Phablet Review Price in India. ~ All Android Smartphones Mobile Phones Tablets Review Price. 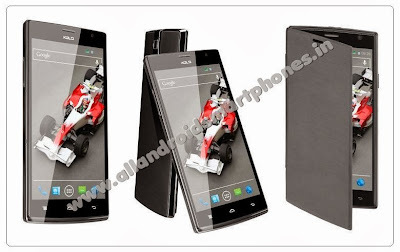 Xolo Q2000 3G Quad Core 5.5 Inch Android Phablet Review Price in India. Xolo Q2000 is a latest premiere Dual Sim Quad Core 3G Android Phablet with 5.5 inch IPS LCD capacitive 16M colors touchscreen with multitouch support. The screen gives a display resolution of 720 x 1280 pixels HD quality with 267 ppi pixel density. The Phablet dimensions are 156 x 77.8 x 9.8 mm and it weighs only 180 grams. The Xolo Phablet Smartphone supports dual sim, loudspeaker, 3.5mm audio jack and Vibration, MP3, WAV ringtones for notifications and call alerts. The Xolo 5.5 inch Phablet Phone comes with 8 GB internal storage and 1 GB RAM. The storage space can be further extended up to 32 GB using a external microSD card. The Phablet uses a 13 MP main rear camera with BSI 2 sensor giving 4128 x 3096 pixels resolution and supports camera features like Autofocus, LED flash, Video 1080 pixels @ 30 fps, Geo-tagging, face detection, HDR and Panorama. The secondary front camera used in the phone for video call is of 2.0 MP. The Phone runs on Android v4.2 Jelly Bean OS and uses a Li-Po 2600 mAh Battery which gives a talk time of up to 17 hours and standby time of up to 520 hours. The preinstalled apps include Google Search, Maps, Gmail, YouTube, Calendar and Google Talk. The Phablet comes in black, white colors. Explore Xolo Q2000 Quad Core Dual Sim 3G Android 4.2 Jelly Bean 5.5 inch Phablet Features, Specifications, Images, Photos, Comments, Details, Review and Price in India. The dual sim smartphone supports GPRS, EDGE, threaded view SMS, MMS, Email, Push Email, IM, HTML5, Radio FM, GPS with A-GPS support, Java via Java MIDP emulator, SNS integration, Predictive text input, Voice memo, Organizer, MP4H.264 / H.263 player, MP3 /WAV /AAC player, Document viewer, Image/video editor, 3G speed HSDPA 42.2 Mbps, HSUPA 11.5 Mbps, Wlan Wi-Fi 802.11 b/g/n, Wi-Fi hotspot, microUSB v2.0, USB on-the-go, Bluetooth v2.0, Accelerometer and proximity sensors. The power On / Off key is on one side whereas volume rocker key is on other side. The 3.5 mm Audio jack and USB slot are placed on top side of the smartphone. The dual sim phone runs on 2G network of GSM 850 / 900 / 1800 / 1900 and 3G network of HSDPA 2100 using a mini sim type card. The latest Xolo Phablet uses MTK 6589 chipset with Quad-core 1.2 GHz CPU and PowerVR SGX544 GPU. The Phablet comes with free anti slip cover, handy OTG cable, charger, hands free and two booklets including user phone guide. Also check Lenovo K900 3G Android 5.5 inch Phablet Smartphone Features, Specifications, Images, Photos, Comments, Details, Review & Price in India. 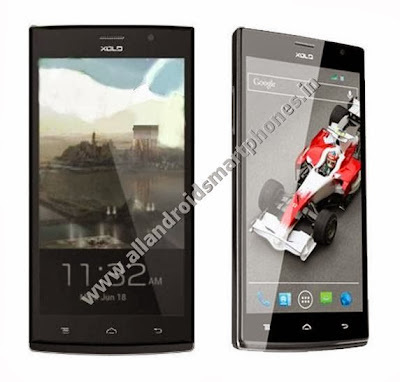 Features and Specifications of XOLO Q2000. 156 x 77.8 x 9.8 mm. 8 GB storage, 1 GB RAM. HSDPA 42.2 Mbps, HSUPA 11.5 Mbps. microUSB v2.0, USB On-The-Go Feature. 13 MP Camera, 4128 x 3096 pixels. Autofocus, LED flash, Video 1080 pixels @ 30 fps, Geo-tagging, face detection, HDR, Panorama. SMS (threaded view), MMS, Email, Push Mail, IM, HTML5. Google Search, Maps, Gmail, YouTube, Calendar, Google Talk. SNS integration, Organizer, Image / video editor, Document viewer, Voice memo, Predictive text input. The Price of Xolo Q2000 Quad Core Dual Sim 3G Android 5.5 inch Phablet Smartphone in India is around Rs. 14,500 /- only.